One of us will host you on these voyages. Minimum number of bookings required. Join us! Singapore to Dubai on all-inclusive Regent Seven Seas Cruises 700 passenger Voyager. Air, excursions, hotel, drinks all included. Start in the island city of Singapore - a haven for the world's richest and architectural wonders. End in similar fashion in Dubai. 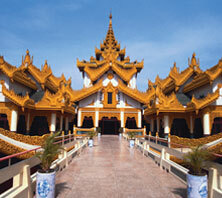 And in between delve into the cultures of Malaysia, Myanmar (Burma), and India. Concierge or higher suite categories have the choice of a FREE 3-night Temples of Angkor Wat pre-cruise land program or a 3-night Opulent Cities of the Emirates post-cruise. SBC: USD 500 per suite. Join us on our annual trek to South Africa! Start in beautiful Cape Town, take a safari cruise on the Chobe river at a time of year wildlife cluster at its banks, stay at the majestic Victoria Falls. 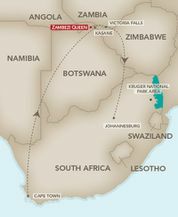 Add to this with choices of extended stays in Cape Town, or choices of luxurious safari lodges in East or West Africa. A trip of a lifetime! Call us at 866 919 2111 for a quote. Stay in Cape Town, visit Victoria Falls, stay at luxury / safari lodges at National Parks in West or East Africa. We have several excellent voyages available catering to the needs of individuals, couples, families or groups. We decided to host a cruise safari here and it sold out 14 months before departure date. Call us at 1-866-919-2111 for a quote. Explore private game reserves with Tauck and BBC Earth. night vision goggles and thermal imaging reveal the secret nocturnal life of South Africa's wildlife, providing a rare look at what is normally hidden in darkness. AFRICA IN STYLE WITH ABERCROMBIE & KENT! 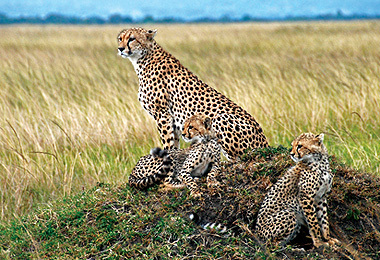 Join an A&K African safari and experience a world where nature reigns supreme. Tour guides bring you into the heart of the wildlife action with A&K's unique mobile tented camps. For quotes on specific tours / group tours:. 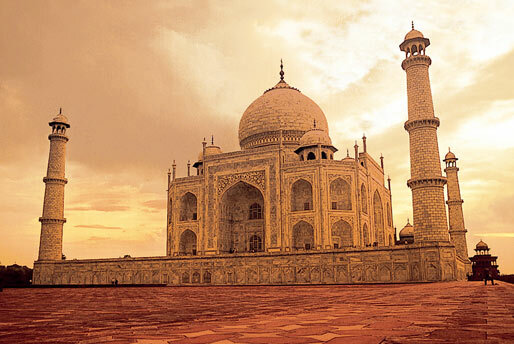 India the perfect choice for an exotic, inspiring A&K journey. Review then call us! TAUCK lives up to its motto "HOW YOU SEE THE WORLD MATTERS" with real meaning to their phrase "Uncommon Access". Ask any Tauck Traveler. Travel along with BBC Earth on select voyages.